I finally got to go camping. 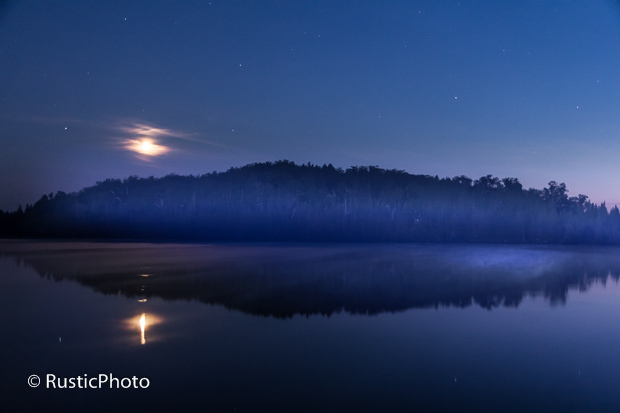 The first night I experimented with capturing the moonset over the main island in Ninemile Lake. 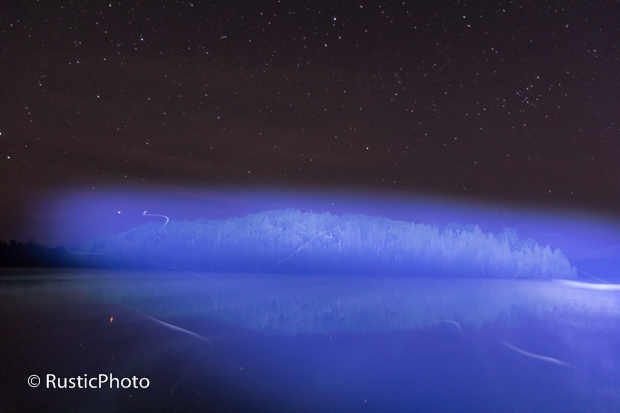 I tried light painting the island as well, which was hard to get good results from, especially with the fog rising off the lake. 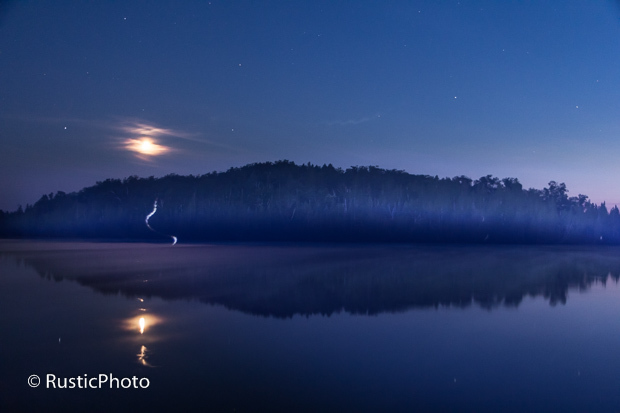 This first one I got a cool glow with the moon behind some thin clouds. This one I got an interesting pattern in the mist. On the next two, I’m not sure what the hell the streaks are. Could be ghosts, aliens or fractures in the space-time continuum. Who knows? 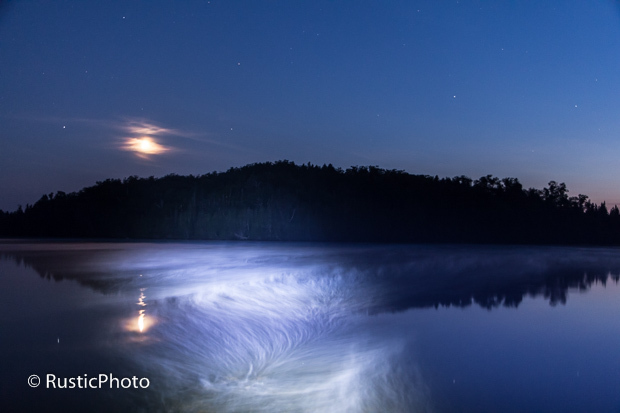 This entry was posted in Astrophotography, Camping, Northern MN, WTF. Bookmark the permalink.